A new study of 33 Kepler stars with solar-like oscillations to be published in Monthly Notices of the Royal Astronomical Society. The 33 Kepler stars have been selected for their solar like oscillations and a set of basic parameters have been determined with high precision showing that stars even older than 11 billion years have Earth-like planets. 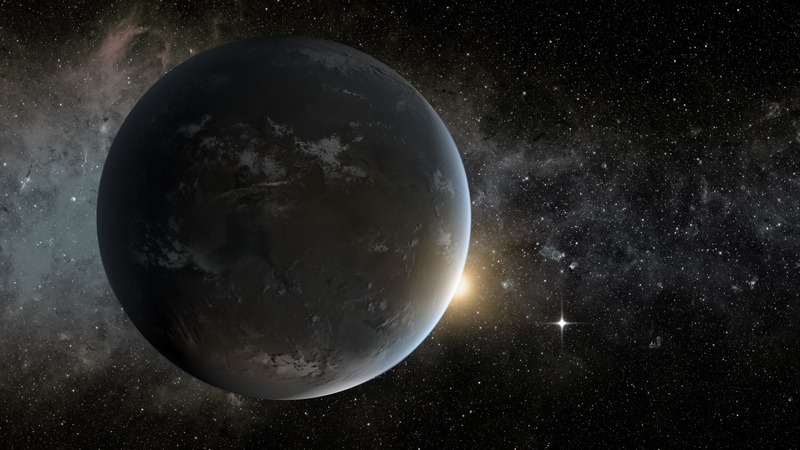 According to lead author of the article Victor Silva Aguirre from the Stellar Astrophysics Centre at Aarhus University, Denmark: " Our team has determined ages for individual host stars before with similar levels of accuracy, but this constitutes the best characterised set of exoplanet host stars currently available." Measuring the ages of stars is one of the very tough problems that contemporary astronomers are faced with. Up to now only the age of the Sun has been determined with high precision (it is 4.57 billion years, with a precision of 10 million years to each side). The international group of astronomers have determined ages, diameters, densities, masses and distances for 33 stars better than ever before. As an extra, all of these stars have earth-like planets, giving us a clear indication that such planets have formed in our Milky Way Galaxy long before the Earth and are still being formed out there. The 33 stars have been carefully selected from the more than 1 200 stars with planets around them that have been observed with the highly successful Kepler satellite. The stars have to be sufficiently bright to give a good statistical basis for the results, and they have to show some of the same characteristics similar to the Sun to make them comparable. Stars pulsate, vibrate and resonate just like sound waves in a musical instrument. The advanced technique of measuring these starry tunes is called asteroseismology – a method quite similar to the one used by geologists to sound out the composition of the interior of the Earth by means of earthquakes. The NASA-launched Kepler satellite has constantly measured tiny variations in the light from some 145 000 stars over a period of a little more than four years. Analyzing these variations over time gives the periods of the many simultaneous pulsations in each star, and from that the scientists can derive the important basic properties of the individual stars. Knowing the ages, sizes and other basic parameters of the stars, apart from being interesting in itself, is important if one wants to study the large scale development of our galaxy and the Universe as a whole – a relatively new discipline named "galactic archeology". We all wish to know where we came from! On a more practical level the stars function in largely the same way as a fusion reactor. Precise knowledge of the internal machines in stars might help in future energy production here on Earth. It is not the first time that precise ages of individual stars have been determined. But using a large sample and studying them with the same instrument – the Kepler satellite – and the same theoretical and statistical methods gives us a much higher confidence in the precision of the results. Comparing the stars may also reveal unusual and so far unknown stellar properties. With a large, and hopefully growing, set of well-studied stars it will be possible to expand our knowledge even to stars which are too faint to obtain asteroseismological values for. The precise knowledge especially of stellar ages can be related to the properties of the light; the spectra, from the same stars. This gives us a set of well-known calibration stars and thus it enables us to work backwards from spectroscopy of faint stars to their ages. The 33 stars selected for the study are not all similar to the Sun, but they behave in much the same way as the Sun does. They are what technically is called "solar-like oscillators". Victor Silva Aguirre explains: "The term solar-like oscillators means that the stars exhibit pulsations excited by the same mechanism as in the Sun: gas bubbles moving up and down. These bubbles produce sound waves that travel across the interior of stars, bouncing back and forth between the deep interior and the surface producing tiny variations in the stellar brightness." All the stars studied by the Kepler satellite lie in a small area of the sky, close to the constellation of Cygnus. The 33 stars in this study span distances between 100 and 1600 light-years from the Sun. With such a small area of the Milky Way Galaxy studied over such relatively short time, one could wonder if the stars selected for the study are at all representative for the more than 300 billion stars in our galaxy. The answer is a qualified "yes". Certainly the astronomers would like to study many more stars for much longer time, but for the time being and compared to what was previously known this is a large first step. In the future we will be able to study larger samples of stars, selected from a larger area of sky with the current Kepler2 project and from 2017 on hopefully from all over the sky with the TESS-satellite. Even better results are expected from the PLATO-satellite due to be launched by the European Space Agency in the mid-2020'ies. Our study provides the first sample of homogeneously determined ages for tens of exoplanet host stars with a high level of precision. The stars we studied harbour exoplanets of size comparable to earth (between 0.3 and 15 earth radii), and our results reveal a wide range of ages for these host stars, both younger (down to half the solar age) and older (up to 2.5 times the solar age) than the Sun. This is regardless of the size of the exoplanets in the system or multiplicity, showing that formation of exoplanets similar in size to earth has occurred throughout the history of our Galaxy (and is still taking place!). Actually some of these planets were of the same age as the Earth is now, at the time when the Earth itself formed. This in itself is a remarkable finding."